We are pleased to hear that Gayl Victoria Spieringshoek (see photograph below) has been appointed as Superintendent and is doing so well. We pray earnestly that her time with Hebron Hostel will be truly blessed. Please see the 2018 newsletters for further details and the most recent updates. 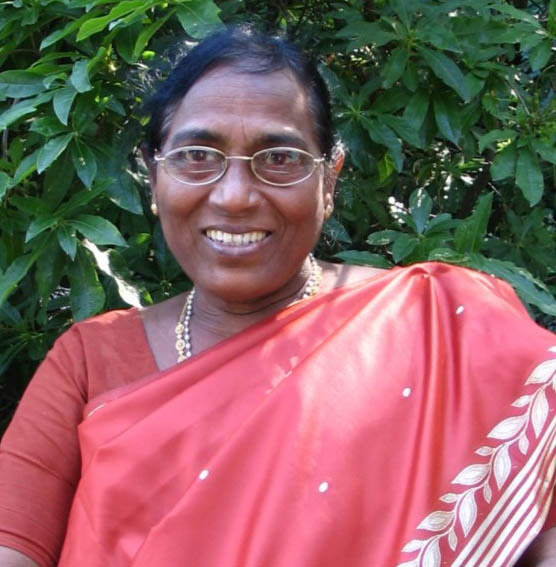 Mrs Jennie Grace Prabhakar had served faithfully as Superintendent for many years, following the retirement of Joyce Harding (of our chapel). Jennie Grace handed over to Esther Sirra in 2016 (see photograph below). We were so sorry and shocked to hear of the passing of Esther Sirra to be with her Lord in 2017. 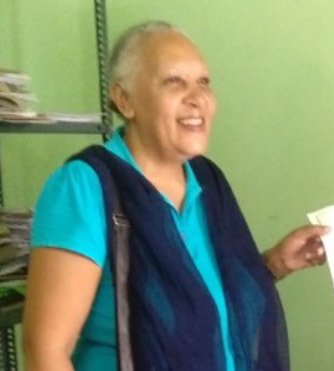 Please pray for the Esther's replacement, Gayl, and for all the girls, teachers and other helpers at the Hostel. Esther Sirra was a promising pupil at the Hostel when Joyce Harding was in charge, and Esther came to the UK and studied medicine. She then went back to India and worked in Calcutta (Kolicot), eventually starting her own nursing school in Jagganandapuram a few miles from Nidadavole. She was serving on the Hostel Committee, and it was suggested that she might like to one day replace Jennie. We apologise that the information below is rather dated, as it comes from the time when Miss Joyce Harding had returned to the UK and our church. The map below shows the location of Nidadavol in the West Gadavari region of Andra Pradesh. A photograph of Jennie Grace is included. with a photograph of the Joy Tilsley who was called home in 2011. In 1890 a boarding school for girls with family or health problems and orphans was started in Chettipeta (shown on map) by Miss Lily Bowden, and carried on by her sister Henrietta Bowden. They were the granddaughters of the pioneer missionaries to the Godavari. 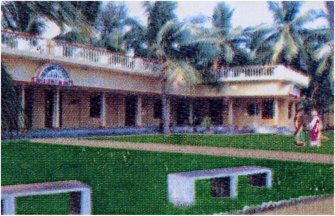 In 1954 this was transferred to a spacious compound in Nadadavol under the guidance of Miss Joyce Harding. The new centre was called Hebron Hostel and, in due course, other two storey buidings were constructed. These now provide all the facilities, i.e. dormitories, box rooms, bath rooms, study rooms, a sewing room, dining hall, prayer hall, sick room, kitchen, etc. Bowden Park is the happy place where there are slides, swings, see-saws, holiday hut, sand opit, climbing apparatus etc. The girls, from 4 to 20 years of age, come from poor families and from all castes and creeds. At Hebron they receive food, clothing, education, medicine and are well cared for by the faithful staff. Handicapped children receive special attention. Some girls go on for further training such as Nursing and Tailoring in various towns after obtaining their school certificate. Their spritual needs are met by daily devotions, Sunday School, Worship Services, Annual Retreats etc. The aim of Hebron is to present the Gospel of Jesus Christ to them all, and we praise the Lord that many respond. 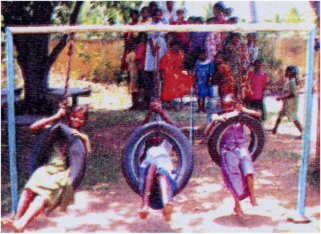 (At a special meeting in November 2003, 55 girls gave testimonies to their faith in Christ as their Saviour - some for the first time and others as a rededication. Classes were held for follow-up work in Bible Study and Prayer. Then one of the Seniors became a leader and started a prayer cell group which is run by the girls themselves. The girl has asked to be baptised, and the group is now (early 2004) studying the subject of baptism in the Scriptures. 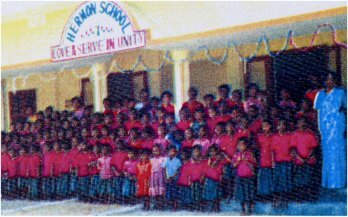 In 1998 Hermon School was inaugurated in the grounds of Hebron. Classes 1-5 now attend this school, eliminating the problem of these small children having to walk to Chettipeta, 1 mile down a dangerous road beside the canal. Classes 6-10 continue to attend the High School in Chettipeta. They take their State School Certificate exams in the 10th class. 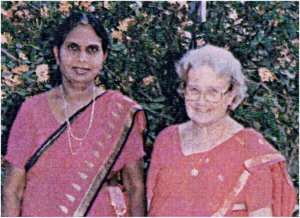 Mrs Jennie Grace Prabhakar, shown here (left) with Joyce Harding (right). All the above information has been supplied by Joyce Harding who continued to work very hard to support the work at Hebron Hostel, from her home in Dorset. If you would be interested in further information about Hebron Hostel or how you could support the work, we will be pleased to pass any communications on. E-mail: hebron@verwoodroadchapel.co.uk. Or visit the new Hebron Hostel web site.